I have a custom Kid Robot Raffi in this show. The identity of the super hero I've chosen will remain a secret until a later date. Watch the skies for a signal. Artists include B.A.L.D., Fried Gold Productions, Fuller Designs, Malo Mike & April, Manny X, Mr. Munk, Scott Tolleson, The Barber's Son and myself. 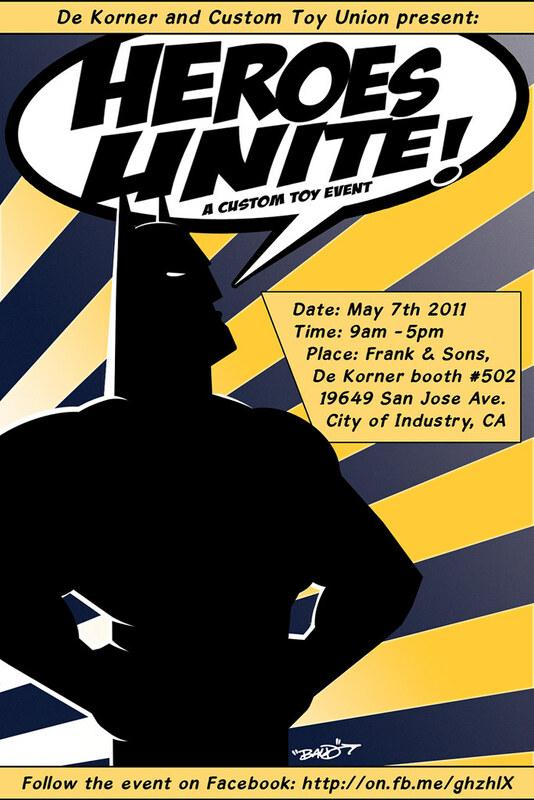 So if you're in the LA area, come on by and check out the pieces.